Hi everybody :) I am up on the Doodles Paper Playground blog with this cute shaker card. 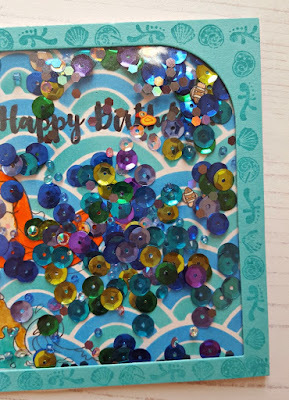 Check it out for more details on how I made my card. 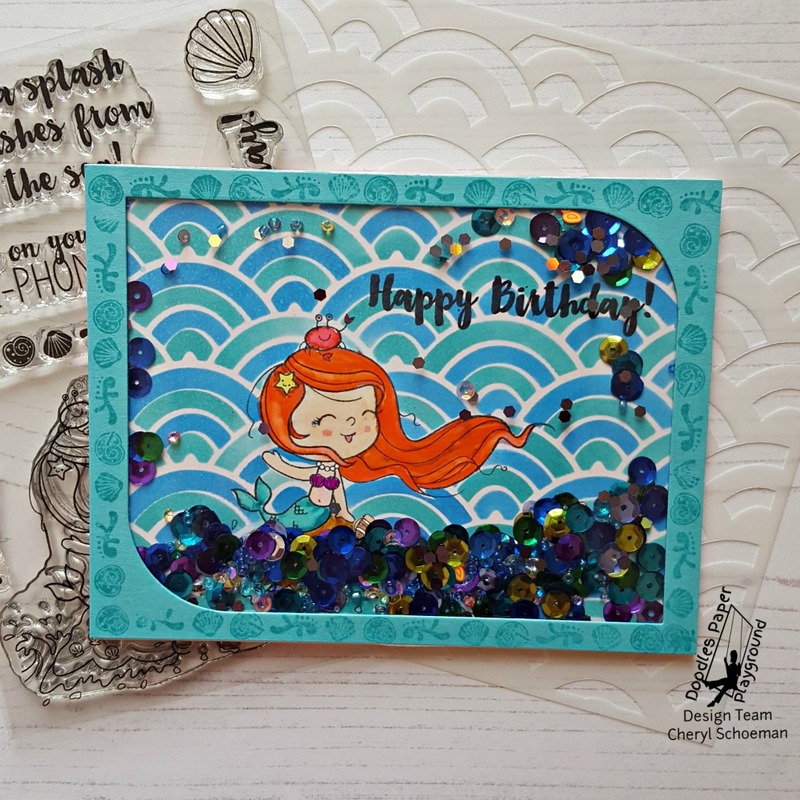 Last time I posted, I had a princess birthday card for my daughter, Paige. This time, I have a birthday card for my daughter, McKenna (they are twins). So originally I wasn't sure if I was going to do another shaker card but my husband saw the princess one and told me I couldn't not make a second one, lol. The girls are both in love with Ariel from The Little Mermaid which made my coloring choices pretty easy. Such a pretty blend! Can you see the little fishies and ducky? Oh, such sweet shaker! Great color combo. Thank you for sharing your card at ATSM!